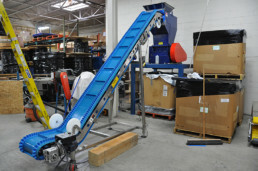 Positive Drive - Cog-veyor Systems Inc. 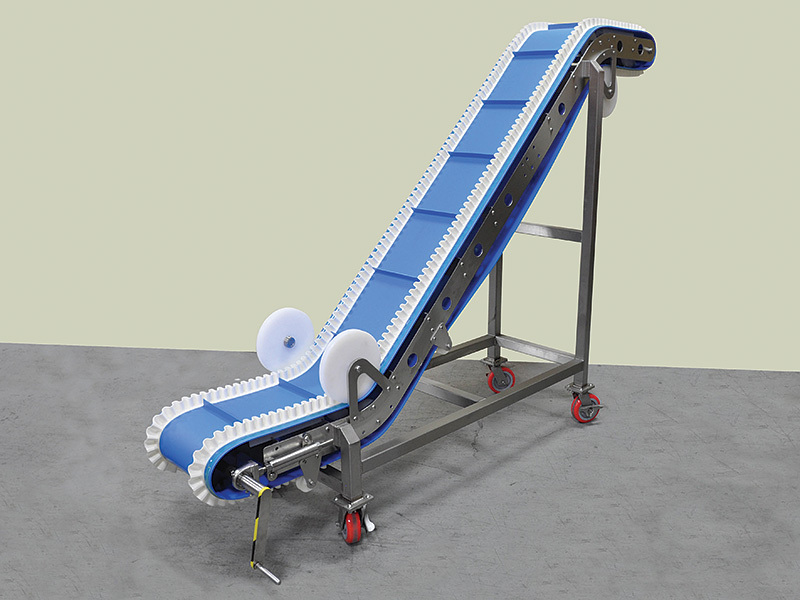 Thanks to its simple yet reliable design, our Positive Drive System and Cog-belting provides incredible flexibility. 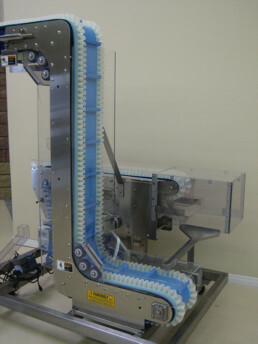 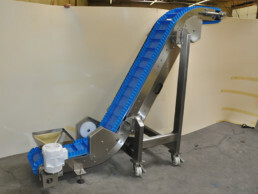 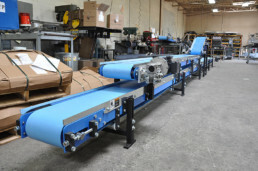 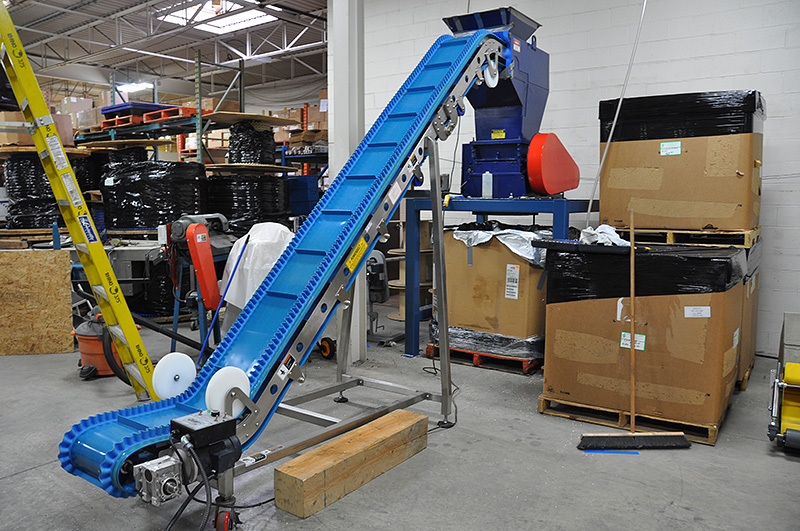 Our positive drive system, when used on our Z-Style conveyor can be driven either from the top or the bottom of the conveyor and can be driven forward or in reverse, depending on your needs. 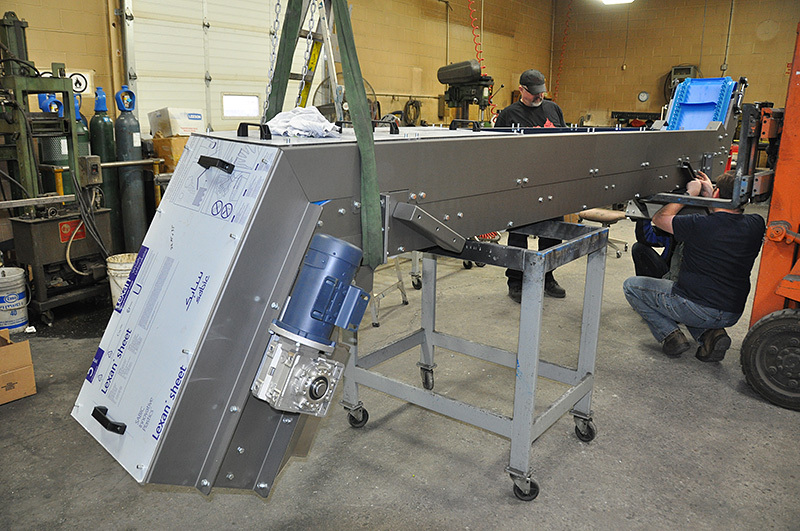 The components are inexpensive and can be installed and serviced on-site with basic, affordable tools. 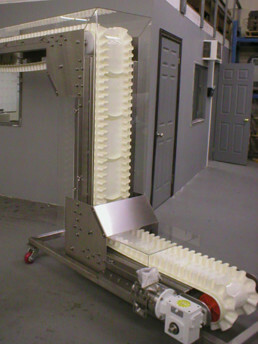 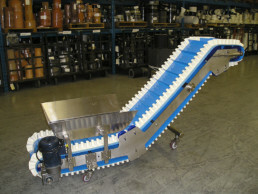 Cog-Veyor offers a wide variety of conveying solutions that can be used for many different applications. 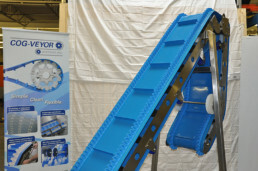 We created the first positive drive system in the industry and we stand by our product for its proven results and maintain it to be the only simple solution. 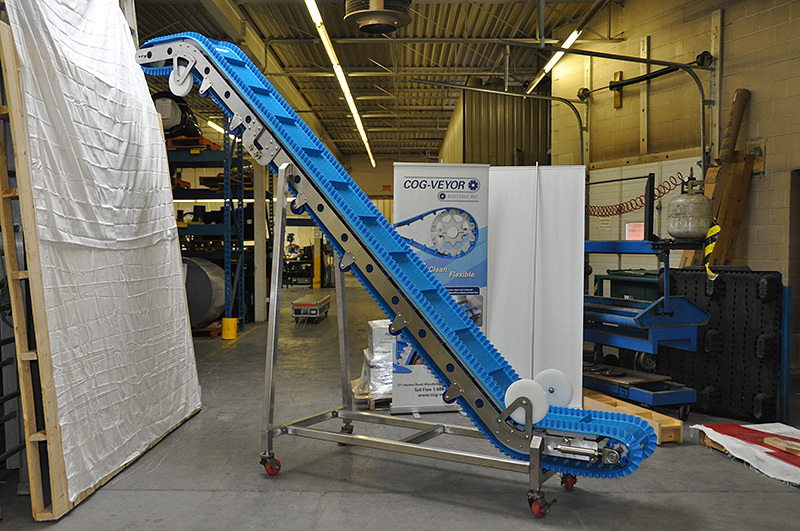 Cog-Veyor’s Postive Drive performance is impressive in its action. The belt requires minimal tensioning so there is less wear and tear overall, providing a considerable cost savings over time. 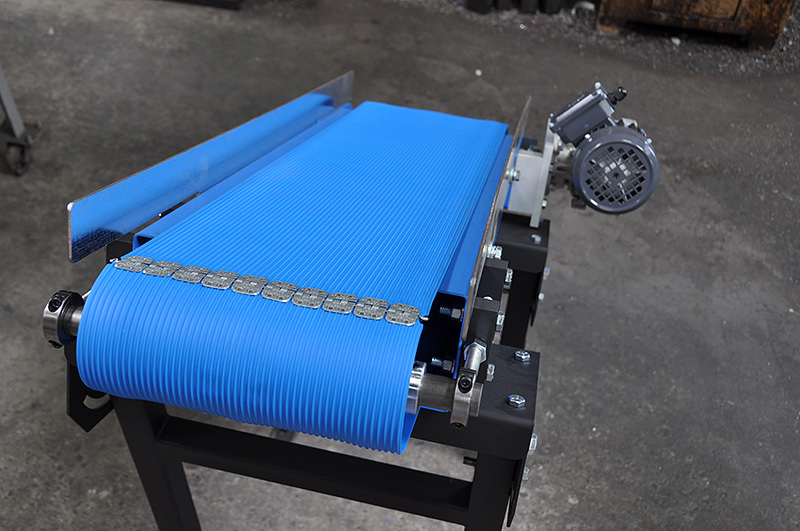 Maintaining our system is as simple as greasing the bearings and chain, Cog-Belts are very durable. With our systems ease of cleaning, less time is needed for wash down providing the benefit of saving on water consumption. 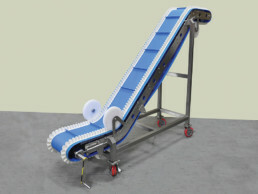 We have perfected the Z-Style Conveyor. 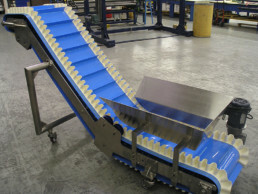 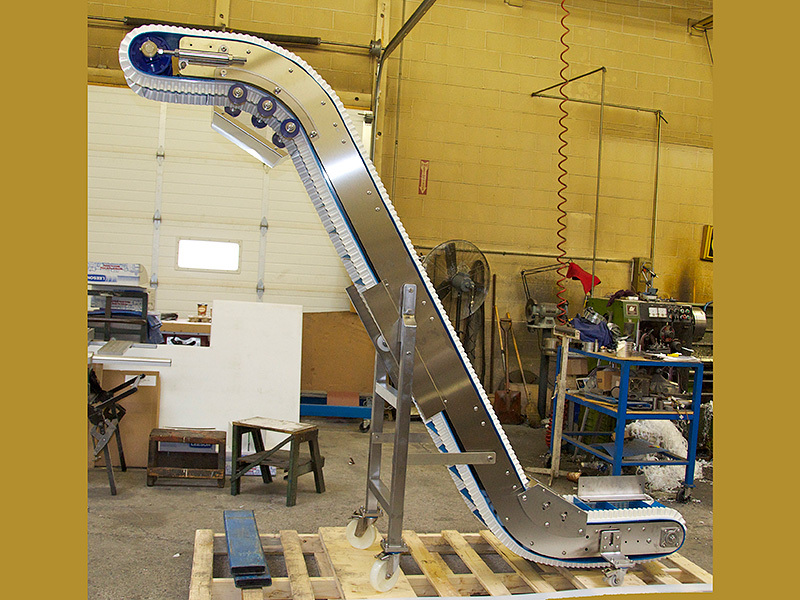 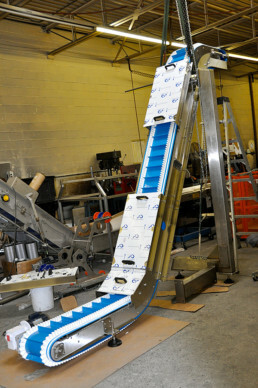 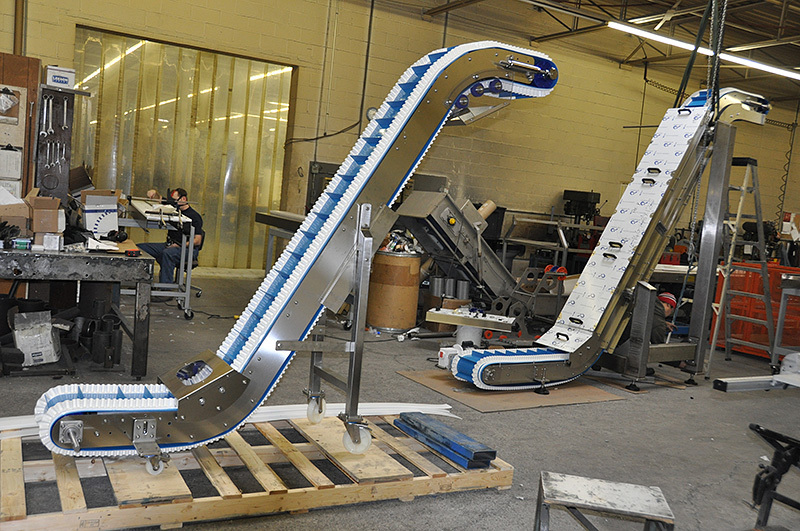 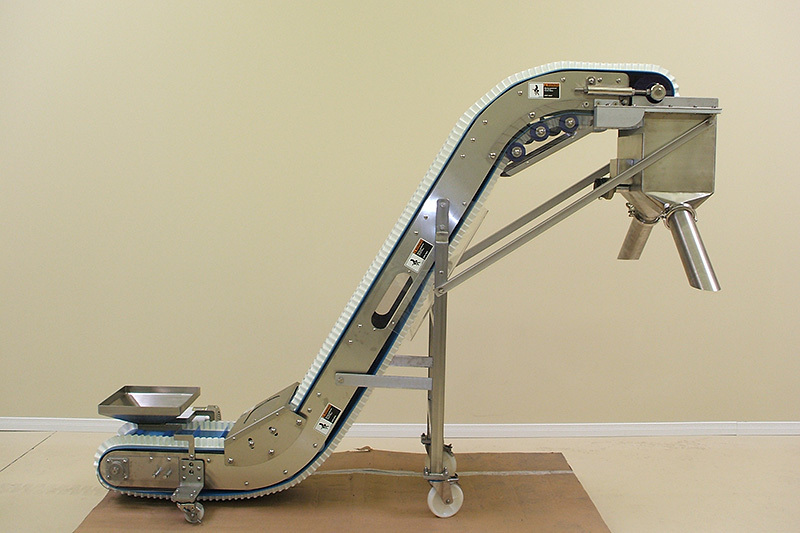 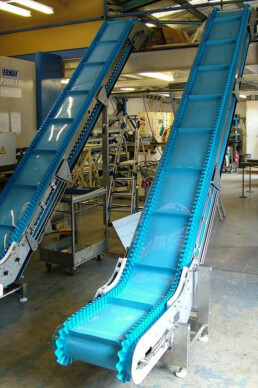 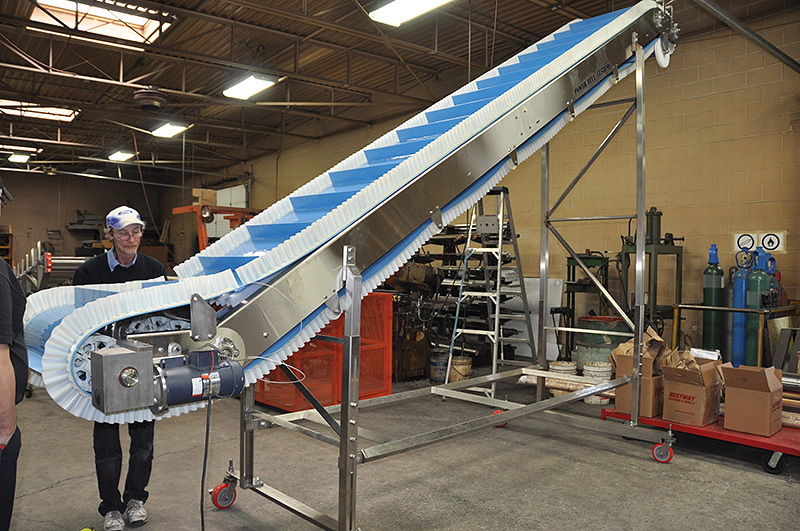 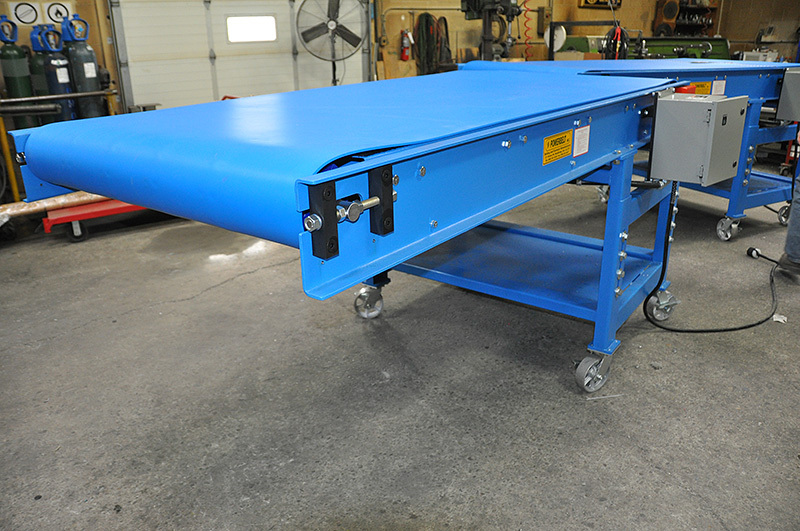 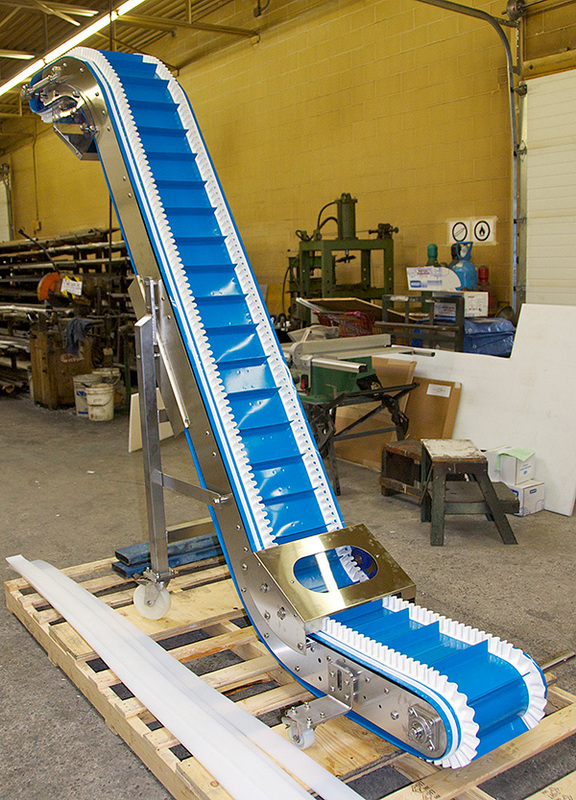 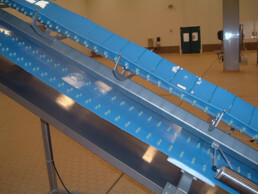 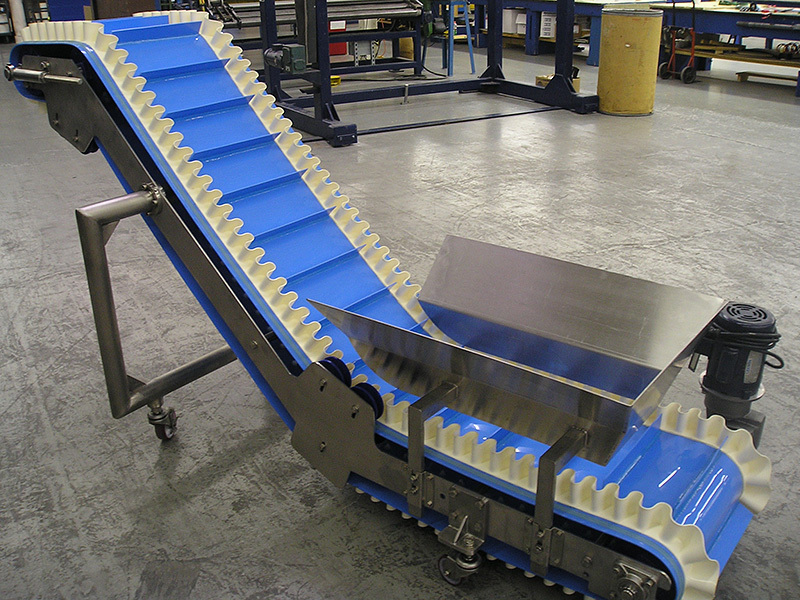 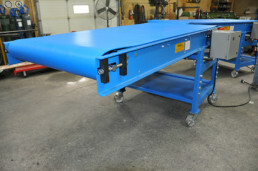 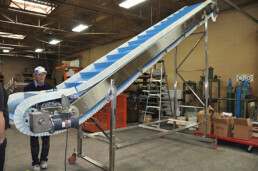 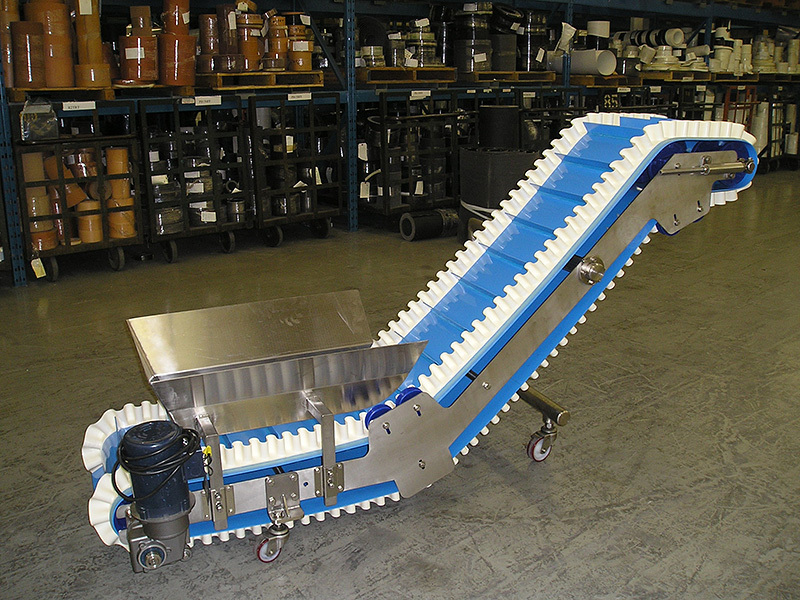 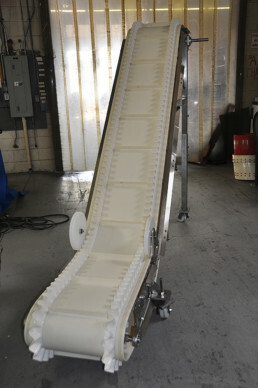 The incline conveyor is our specialty, in either stainless steel or mild steel, we have your solution. 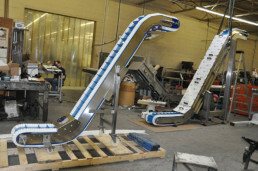 The Z-Style design is versatile and can be run in either direction with ease.